Tom Savage is an American football quarterback. He started his professional career with the Houston Texans in 2014 but has played for two other professional teams since then. The quarterback has a very rare record of playing for three colleges before joining the National Football League (NFL). Despite the inconsistency in his college career, he was able to prove that he had enough talent to be in the league. Thomas Benjamin “Tom” Savage was born on April 26, 1990, in Springfield, Pennsylvania. He attended Cardinal O’Hara High School where he played football, starting at quarterback for three of the four years that he played. As a senior, he made 1,355 yards and 10 touchdowns. Done with high school, Tom Savage got into Rutgers University in 2009 and was named the starting quarterback after the season’s opening game. He recorded 2,211 yards, 14 touchdowns and 7 interceptions as a freshman. His wonderful performance in the season earned him All-American Freshman Team honors from the Football Writers Association of America. The following season, he played only one game before being benched as a result of an injury he sustained on his hand. He later transferred to the University of Arizona in February 2011 following a conditional release from Rutgers University but due to NCAA transfer rules, he had to sit out the season. Shortly before when he would be due to start playing, Tom transferred to Pittsburgh and was again redshirted in 2012. He was named the starting quarterback for the 2013 season-opening game and at the end of the season, he made 2,958 yards, 21 touchdowns, and nine interceptions. He was selected in the fourth round of the 2014 NFL Draft by the Houston Texans as the 135th overall pick and the seventh quarterback to be selected that year. He signed a four-year contract with the team and made his debut on November 30, against the Tennessee Titans. He played in just two games in the season. In 2015, he sustained a shoulder injury which kept him away from playing throughout the season as the team placed him on injured reserve. The following season, he played two games before he had a concussion and was replaced by Osweiler. He, however, cleared concussion protocol and was made Osweiler’s backup for the Divisional round playoff. He had a strong season in 2017, playing 8 games and finishing with 1,412 passing yards, 5 passing touchdowns, and 6 interceptions overall. 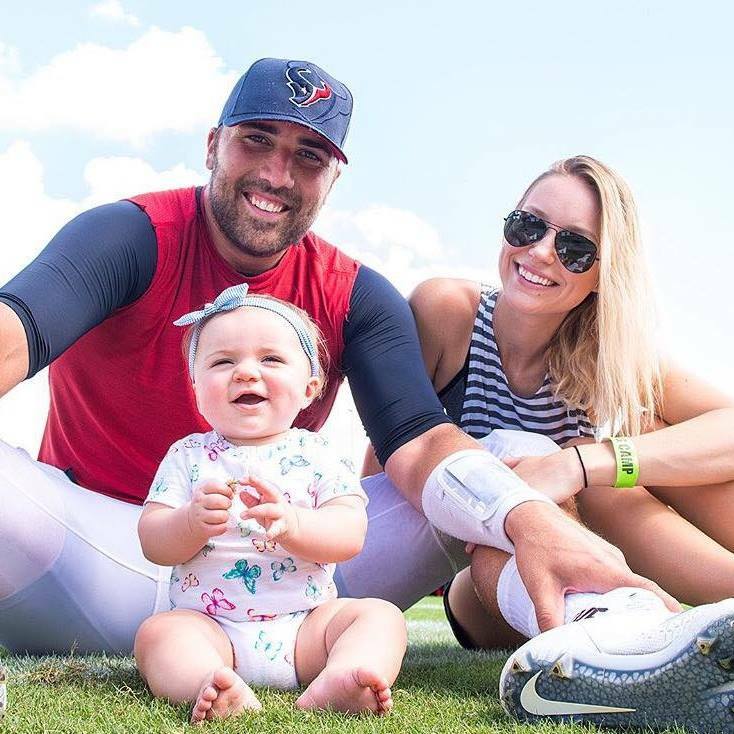 On March 16, 2018, Tom Savage was signed for one year by the New Orleans Saints but before the contract expiration, he was released so he moved over to the San Francisco 49ers. The team also released him on November 1, 2018, but resigned him a day after. Quarterback Tom Savage who has been in the league for over five seasons. He made a career earning of $3.08 million within this time, which ranked 1901st among active NFL players entering 2018. In 2017, he earned $765,146 but in 2018, he will earn an average annual salary of $790,000 following his one year contract with the San Francisco 49ers worth $790,000. His 2018 base salary will be $464,706 while carrying a cap hit of $464,705. The quarterback is the second son of Thomas Savage Sr. and Linda Savage. His older brother, Bryan Savage, who was also an athlete, was his high school team’s most valued player in both football and baseball. Bryan played college football at the University of Wisconsin-Madison and Hofstra University as a quarterback but his football career came to a very sad end after it was discovered that he had a Level 3 herniated disc in his back which resulted to numbness in his feet. Even though he went through surgery, the condition put an abrupt end to his dream of playing in the NFL. Tom has always been very close to his father. In his very early days of playing football, whenever he got hit and fell, he would look over to see if his dad was coming and if he was not, he would get up, knowing that he’s okay. He was quiet and shy and always looked up to his father. During Tom Savage’s unstable college career, his father reportedly called Rutgers football coach Greg Schiano “a dictator” for denying his son permission to speak with the University of Miami about transferring. Thomas Snr., however, acknowledged that he was emotional about his son’s uncertain transfer situation but denied calling the coach a derogatory name. Tom Savage is married to Catherine Savage (nee Varley). She was born on March 31, 1992, and is the eldest daughter of her parents, Susan Kline-Varley and Robert Varley. Mrs. Savage who is known as Catie for short has one younger sister named Emily Marie. Tom’s college career took off at Rutgers but in his second season, he sustained an injury and as a result, he was benched. He later transferred to Arizona where he met and started dating Catie in April 2012. On getting to the University of Arizona, Rich Rodriguez took over as the head coach of the football program and because he ran a spread offense, he had no use for Tom Savage who was a dropback passer. Consequently, Tom had to transfer again, this time, to Pittsburgh, leaving Catie behind. The duo had a long distance relationship for eight months until Catie eventually moved east so they could be together. In July 2014, Tom popped the question and on June 27, 2015, they tied the knot and spent their honeymoon in Maui Island, Hawaii. In July 2016, the couple announced that they were about to be parents and on January 18, 2017, they welcomed their beautiful daughter named Summer Rose. The professional football player has a terrific size for the position he plays. He is well above average in height as he measures 6 feet 4 inches (1.93 m) and weighs 104 kg (230 lbs).